It seems to me that the spontaneous creativity of takemusu aiki that O’Sensei spoke of is an improvisation arising out of ki–musubi. When I read the work of those who practice improvisation in other arts I am thrilled by how they seem to be speaking of the heart of aiki. Their thoughts are currently a great inspiration to me as we currently practice. One of the first writers I first came across was Keith Johnstone and his book Improv – improvisation in theatre. His notion of not blocking but in essence saying yes! 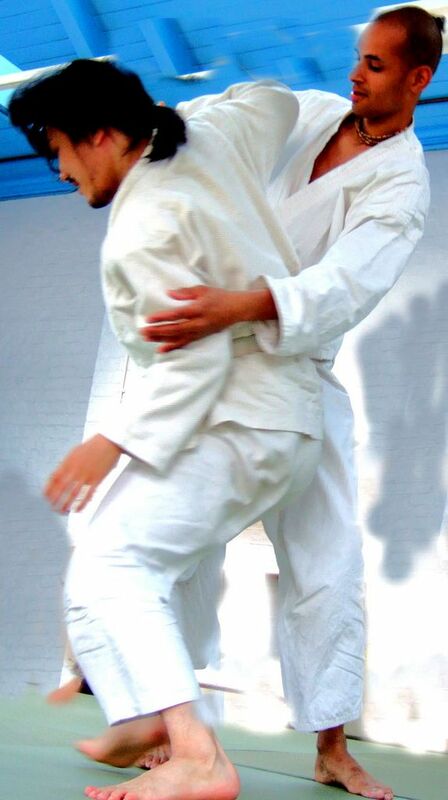 to what emerges seems fundamental to aiki practice – very much relating to O’Senseis notion of non-resistance.